The Best Places to Visit in Turkey! The crystal clear waters and majestic mountains of Turkey are just two of the reasons why so many people visit this country each year. There are lots of charming little villages and incredible restaurants to visit while you are here. 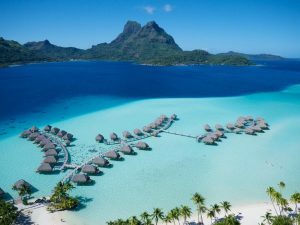 If you are planning a trip to Turkey, it is important that you take the time to look into some of the more popular attractions. Turkey is a great mix of Asian and European culture, which, of course, is reflected in the diversity of local sights. The Turkish landscape is incredibly rich in natural scenery, from the biblical snow-covered Ararat Mountain (5,137m high) to the long sandy beaches at the coast! Hasankeyf is an ancient town and district near the Tigris River in the Batman Province. If you love history, you will certainly want to think about visiting this place. With ruins from old castles and other historic sites like Kasir Rabi and Zeynel Bey Turbesi, you will easily be able to find amazing places to visit all day long. The city of Mardin is located in southeastern Turkey, and it is known for its incredibly beautiful Artuqid architecture. This is a very old city going back hundreds of years, and the Mardin Museum will give you the chance to learn more about it. There is also Zincirye medresesi, which is a great place to visit if you love history and/or architecture. Alahan Monastery is made up of a series of fifth century buildings in the mountains of Isauria in the Mersin province. The ancient ruins that you will find here are epic and amazing in every way. This complex played a crucial role in the development of Byzantine architecture, and it is the perfect place to go for history buffs and adventure seekers. Ani is a ruined Armenian city that can now be found in the province of Kars in Turkey. This ghost city was once a great metropolis, but it is still visited by many people each year. There are guided tours of this place that you can go on to learn more about it. The ruins of the Mausoleum of the Chuld Princes as well as the ruin of the Church of Saint Gregory are just a few amazing places to visit here. Kayaköy, which used to be called Lebessos in ancient times, is now a village located 8 km south of Fethiye in the southwestern part of Turkey. This village has around 500 ruined houses as well as two Greek Orthodox Churches. This is another beautiful ghost town with some truly fascinating history that you will definitely want to explore when coming to this country. Safranbolu is a town in the Black Sea region of northern Turkey. This town has some particularly beautiful architecture in the Carsi district, with cobblestone streets and all kinds of old world charm. You will want to make a point of visiting Cinci Han, which is a 17th century Caravanserai with incredible views of the entire town from the tops of roofs. The Sumela Monastery is a Greek Orthodox monastery built in the spirit of the Virgin Mary at Mela Mountain. Located in the Trabzon Province in modern Turkey, this monastery is truly a thing of beauty. The extremely remote location of this place makes it a bit of a challenge to get to, so it is perfect for adventure seekers. Rumkale is an impressive fortress on the river Euphrates, and it makes for the perfect daytrip when you find yourself in Turkey. If you want to see this fortress, you will need to start out in Halfeti. There are numerous boats that go to Rumkale, and it doesn’t cost much to take one. This fortress has a mosque, church and huge monastery that you can explore in depth. The pilgrimage city of Sanliurfa, or simply Urfa as the locals call it, is a wonderful place to visit if you want to learn more about Turkey’s history and culture. The Sacred Fish Ponds Area of this place is a truly beautiful and tranquil sight. There is also the Archaeology & Mosaic Museum where you can see some really unique works of art while discovering more about Turkey’s history. Olympos was an ancient city that is located in what is now Lycia, on the river valley close to the coast. Tourists can still see the ruins of this old city just south of the town of Cirali. There are all sorts of ruins here, including old churches and places of worship. Alanya Kalesi is an old castle that was built back in the 13th century on the remains of fortifications from the Roman and Byzantine eras. Located 250 meters high on a rocky peninsula going to the Mediterranean Sea, this castle is one historic site worth visiting. There are regular tours of this castle that are affordable and quite fascinating. Cappadocia is a region in central Turkey that is well-known for its many tall cone-shaped rock formations that are located close together in the Monks Valley, Goreme and other places. There are many other historic sites here, including homes from the Bronze Age, which are carved into the valley walls. The Ihlara canyon runs 100 meters deep and has a number of rock-face churches. Ephesus was an ancient Greek City located on the coast of Ionia. There are still a few columns left standing from the original temple, and it’s a truly amazing sight. There is also a three-tiered theater that is built into a hill that could seat over 20,000 people at one point. Those who are planning on going to Turkey for vacation should definitely check out this incredible place. Aspendos gets many visitors from all over each year, and it is located 50 kilometers east of Antalya. The theater that you will find here is among the oldest and most impressive remaining structures from the Roman Empire. This city once flourished back in the Roman period, and the theater is one of the most impressive ancient sites you will ever see. Pergamon was an ancient Greek city in Aeolis (Ancient Region of Anatolia). There are still remains of numerous huge and detailed monuments, including the Pergamon Altar. There is a lot of fascinating and important history associated with this area, making it even more incredible. Many of the streets and bridges are still here in pieces, and it’s a truly unique experience for those who visit. Mevlana Museum is a holy place that is considered sacred by Muslims and visited by over one million people each year. You will first walk through a beautiful garden with all kinds of colorful flowers before passing through Dervisan Kapisi, or the Gate of the Dervishes. Mevlana’s tomb can be found here, and it is a historic site that you simply do not want to miss. Nemrut Dagi is a tall mountain in southeastern Turkey that stands 2,134 meters tall. There are a number of impressive statues around what many historians believe to be a royal tomb from the 1st century BC. These statues are amazing to see in person, and many tourists come here each year. This is one of the oldest historic sites in the entire country. Anitkabir is where you will find the mausoleum of Mustafa Kemal Ataturk, who was the leader of the Turkish War of Independence. This historic site is also where Ismet Ionu, the second president of Turkey, was laid to rest. Hundreds of thousands of people come here every year to witness the spectacular architecture and history that this place has to offer. If you are interested in seeing some of the incredible museums that Turkey has to offer, it is highly recommended that you take a close look at what Hagia Sophia has to offer. Here you will find an amazingly beautiful mosaic of Christ as Pantocrator among many other impressive pieces. This is an excellent place to learn all about the history of Turkey. 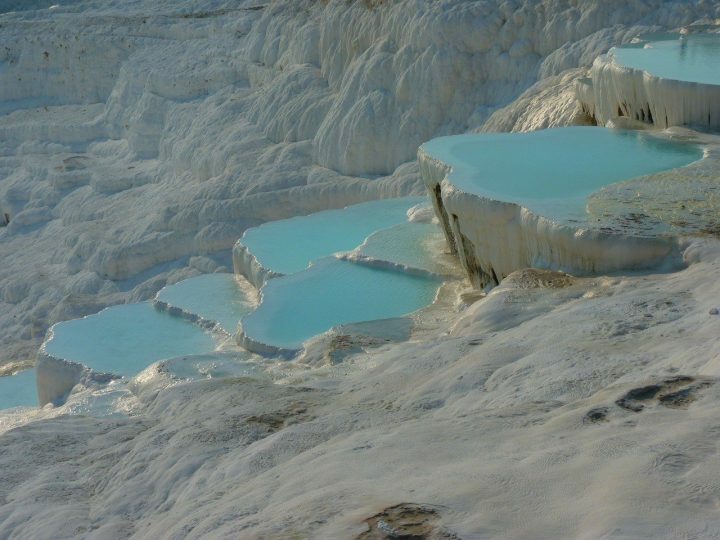 Pamukkale is a town located in western Turkey, and it is known for its large streams of crystal clear water. There are a number of breathtaking old ruins here, including a very well-preserved theater and a necropolis. There is also the Antique Pool, which is known for its Roman columns that are now completely submerged under water. This place have a number of unique things to see while you are in Turkey.